Applications to join HMFI are currently closed. Come back in August for Fall 2019 recruiting. If you have any questions or would like to learn more about our hiring process, please email apomposelli@hilltopmfi.org. 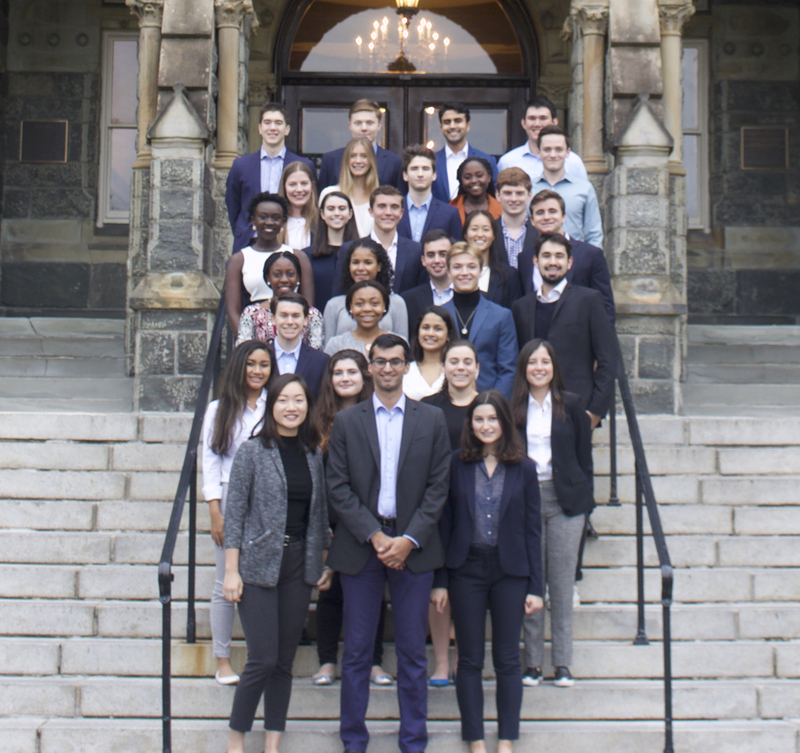 As a Georgetown student, working at the Hilltop Microfinance Initiative is one of the best ways to gain experience in finance and community development, as well as get involved in the broader D.C. community. At HMFI, not only will you will have a true impact on the community, you will meet some of the most ambitious and interesting Georgetown students in the process. Some of our employees go on to work at top financial institutions and consulting firms, while others choose to continue along the community development track. Either way, HMFI prepares you to make an impact right away. When you join HMFI, you will become a part of a close-knit group of students on the Hilltop who are passionate about engaging with the local community. You will build leadership and problem-solving skills and gain financial and management expertise. You will quickly become acquainted with our values and operating principles and will take on responsibilities within your department. Everyone in HMFI is committed to fostering the professional success and personal growth of our new hires: training and mentorship are our priorities.